Jonathan was raised in the small town of Karnak, IL. At the age of 13, he gave his life to Christ. After high school, he served in the US Navy for 4 years and then returned home to Southern Illinois to begin Bible school at Mid-Continent University where he earned his degree (Bachelor of Science in Biblical Studies). 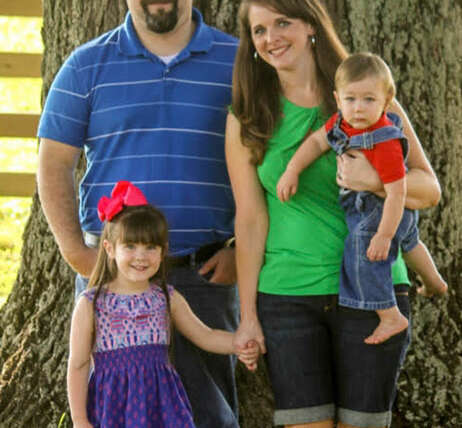 Jonathan Rentfro has served as Associate Pastor at BCOG since 2010. Jonathan was raised in the small town of Karnak, IL. At the age of 13, he gave his life to Christ. After high school, he served in the US Navy for 4 years and then returned home to Southern Illinois to begin Bible school at Mid-Continent University where he earned a Bachelor of Science in Biblical Studies degree. It was at college where he met his future wife, Marianne. The two were married in 2009. They have two children (Ember and Bowman). Pastor Jonathan has served in several capacities at BCOG, most notably as the teacher of the Adult Sunday School Class. In 2013, he became an Ordained Bishop in the Church of God. Known for his devotion to verse by verse Bible study, Pastor Jonathan is an avid reader and especially enjoys books from John Piper and David Jeremiah. Green Bay Packer fans beware…he loves the Chicago Bears!